Are management contracts hotel brands’ best enemies? This is something that is not always known by people outside of the industry but today it is very rare that large hotel companies such as Marriott, Starwood, Accor or IHG own any of their hotels. They own the brand that seats on the roof and are being paid management fees by the actual owner of the physical property to operate it and provide functional support such as Sales and Marketing, Human Resources, IT support and technical service. Which means that while the operator is in theory in control of the operations, in reality it doesn’t have the final say on what is implemented inside the hotel and how the money is being spent to implement brand standards. And that’s where there is a serious on-going problem. 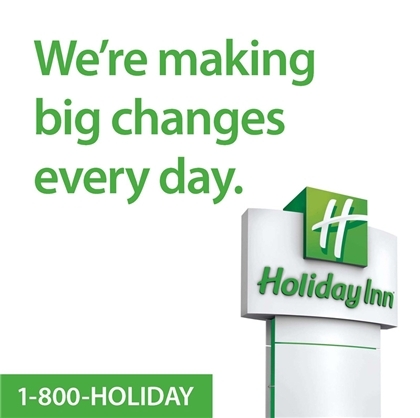 If hotel companies are trying their best to generate innovating ideas to differentiate themselves from the competition and create new user experiences but do not have control on whether each individual hotels is implementing them or not, can they really claim that they are in control of their own brand and piggybank on a brand promise? At the moment, the only thing a hotel company can claim to fully control is the integrity of its trademark (logo) and its corporate communication. But that’s not what a brand is all about. A brand is a person’s gut feeling about a product or service. So it is not what the operator says it is but what the guest says it is. Therefore, in situations where there is a shortfall in brand standards implementation at a hotel level, it has an automatic impact on the way the entire brand is going to be perceived. Example: If a brand decides to implement free WIFI connection through out its network as a brand promise but only 90% of the hotel owners agree to bear the expense, the brand will have let down its customers by not being able to deliver on its promise. Nobody cares whose fault it is. 1/ I promise changes but without committing to anything tangible. 2/ I changed, so I innovate, so I am appealing. 4/ Using active voice (as opposed to “big changes have been made”) so I don’t claim that the process has been completed. 5/ Easy to remember phone number. Call to action. => Very efficient use of space with strong positive message despite an empty brand promise. Any hotel company is very well aware of the difficulty to make a brand promise that can be kept without exception. It therefore limits the risk factor by implementing safe and (sometimes) meaningless brand promises. There is no doubt that Holiday Inn marketing (or R&D) department is full of great innovative ideas but the reality of management contracts being what it is, they only implement what they know will safely go through. While the Management Contract business model is a great way for hotel chains to quickly expand their network at a relatively small investment, it does create serious limitations to innovation and being able to establish long lasting brand promises. I was writing about the innovation in the hotel industry recently. If hotel brands are only developing concepts but transfer the responsibility to property owners to pay for its implementation and roll-out, can they really claim to own their brands? Or are management contracts simply hotel brands’ best enemies? ← Should internet access be free in hotels?